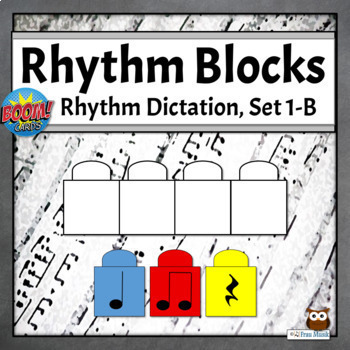 Do you need a fun music game to build and assess rhythm reading levels for your students? 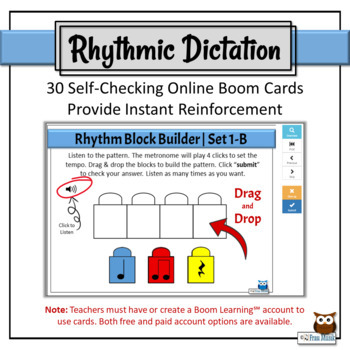 This deck of rhythmic dictation Boom online task cards is the perfect solution. 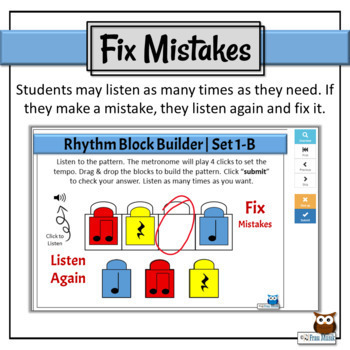 Boom task cards provide instant checking and reinforcement as students listen and build the correct musical pattern. 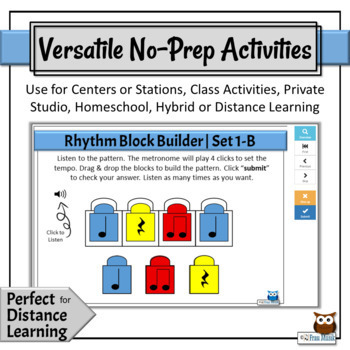 Cards can be used as centers, for practice, or for assessment. Boom cards are compatible with most white boards, ipads, chrome books, or computers. They may also be assigned with Google Classroom™. Play a preview of the game here. Please note, this game is set to start easy and increase in difficulty.